2010 was not a good year of Mohanlal. Many of the major projects of Mohanlal was a big flop in the year 2010. So Mohanlal is selecting his new projects with great care. 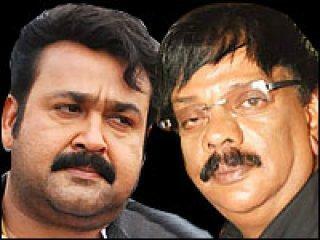 Mohanlal gets tie up with many good directors in the year 2011. Most probably Lalettan will have a good year in 2011. The new projects and upcoming movies of Mohanlal in the year 2011 are Christian Brothers, Talkies, Casanova, Raman Police, Ninnishtam Ennishtam, China Town, Cousins, Bheeshmar, King Richard, Family Man, Doutyam 2, Arakkallan Mukkakallan, Upagupthan, Karuna, Tezz and many untitled projects. Raman Police is the upcoming movie of Mohanlal in 2011 directed by Shaji Kailas. 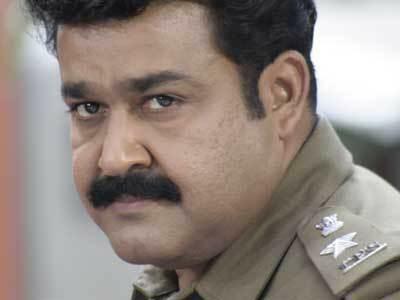 Mohanlal will came as police officer Raman in the movie Raman Police. Baba Kalayani is the last movie where Mohanlal came as a police officer. Baba Kalayani was also directed by Shaji Kailas. The script writer of the movie is A K Saajan. Gireesh Puthenchery passed away during the script work of Raman Police. Therefore the movie delays for many months which was expected to release on Onam 2010. The Music Director of Raman Police is M.G Sreekumar. 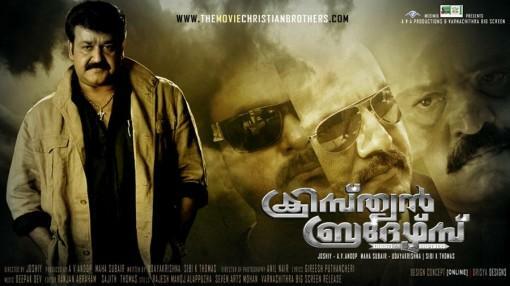 Christian Brothers is one of the upcoming movies of Mohanlal in 2011. The Malayalam film world is looking this film with great anxiety because Christian Brothers is a multi star film in which Dileep, Suresh Gopi and Sarath Kumar will be the co-actors of Mohanlal. Christian brothers is the big budget movie of director Joshi after the great success of the movie twenty twenty. Udayakrishna- Sibi k Thomas team is the script writers of the Christian brothers who were the script writers of the movie Twenty twenty. 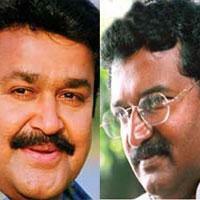 In Christian brothers Mohanlal came with a title role of Christy. Christy is a police informer and he has a lot of contacts with Mumbai underworld. Andrews who is one of the big enemy of Christy in the Mumbai underworld came in Kerala for killing Christy. But Christy was put in lock up by S.P Joseph Vadakkan. Now the assistant commissioner of police Vijayakumar helps Andrews to find Christy in S.P office. Now the film progress with stunts and underworld revenge. The film then goes in new way when Christy finds out his brothers during this revenge. Script writers said that film contains six long stunt scenes. 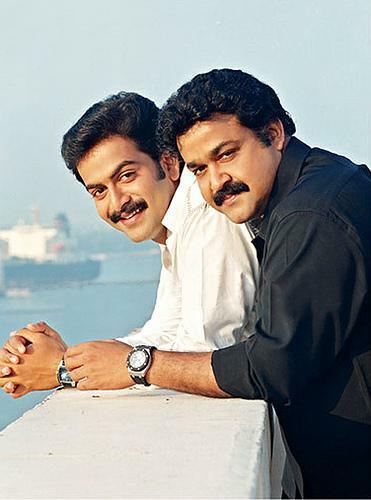 Suresh Gopi comes as S.P Joseph Vadakkan, Sarath Kumar as Andrews and Biju Menon as Vijayakumar. Dileep comes as one of the brother of Mohanlal and Kavya Madhavan comes as a minister's daughter. The other co-actress are Lakshmi Rai and Kanika. Christian Brothers will be the first Malayalam movie which will be release world wide. Besides Kerala the film will be released in Tamil Nadu, Karnataka, Gujarat, Andhra Pradesh and Delhi. Christian brothers will be also released at foreign countries like Dubai, New Zealand, America, Doha, Bahrain, Malaysia, London, Australia and in European countries. Producers : A.V Anoop (AVA Productions), Subair (Varnachita Big Screen). Script & screenplay : Sibi K Thomas and Udayakrishana. After the remake of Irupatham Noottandu as Sagar Alias Jackie Reloaded Mohanlal is coming with another remake of the hit movie Ninnishtam Ennishtam . The new Ninnishtam Ennishtam will be directed by Aleppey Asharaf and scripted by director Renjth's brother Rajiv. Most of the characters in the movie Ninnishtam Ennishtam are there in Ninnishtam Ennishtam 2. Suraj Venjaramoodu will be playing as son of the character played by late actor Pappu. Kannur Rajan will be the music director of the film. Release date of Ninnishtam Ennishtam : April 2011. Release date of Cousins : May 2011. 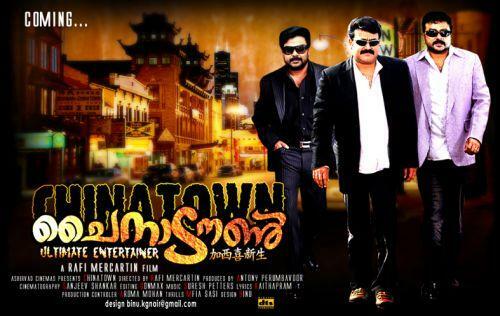 China town is another multi-star upcoming movie of Mohanlal in 2011. The film will be directed by Rafi Mecartin. Rafi Mecartin unites with Mohanlal after the successful win of movie Hello. The film will be produced under Ashirwad banner. This is the first multi star movie under Ashirwad banner. The main location of the movie is Ooty. The film world is expecting that China town will be one of the comedy hit of all time because these three actors can do comedy very naturally. China town tells the story of three friends. Mathewkutty, Sakarya and Binoy were the sons of three thick friends. But as years passed away these three friends get separated in different places. The film progresses with the reunion of these friends for a common task. Mohanlal came as Mathewkutty, Sakarya as Jayaram and Binoy as Dileep. The film has another specialty in which Mohanlal came with double role. Mohanlal cames as both Mathewkutty and his father. The actresses in the films are Kavya Madhavan, Dipasha and Punam Bajva. Mohanlal teams up with director Rajiv Nath after Pakal Nakshatrangal. The film is taken on the basis of Karoor's story Pothychoru. Mohanlal will act as a teacher in the movie Onnam Sir. This will be a low budget film. Onnam Sir will be taken under Chaaya films. The movie tells the story of a man who is a father of two children. He is also the husband of a police officer. This is an family story directed by Joshi and Produced by M. Mani. Joshi is preparing this move especially for family audience. Release date of Family man : July 2011. Release date : October 2011. After long years Priyadarshan comes back in Malayalam film industry with Mohanlal. Whenever Priyadarshan has teams up with Mohanlal, the Malayalam film industry has got hit films. Arabiyum Ottakavum P. Madhavan nayarum is the upcoming movie of Mohanlal in 2011. The shooting of the film will starts in March 2011. The film will be completely taken in Abu Dhabi. Lakshmi Rai will be the actress of this movie. Innocent, Nedumudi venu, Mukesh and Bhavana are the other actors. will be the one of the biggest big budget comedy film. The script and story of the film will be done by Priyadarshan itself. The film will be produced by Ashok Kumar, Jamal Al nuaimi and Sasidharan under the Junkhouse entertainment banner. Seven arts is the distributor of the film. After the successful win of the movies Thanmathra and Bhramaram Mohanlal teams again with Blessy for the new movie Pranayam. Pranayan will be one of the movies available for Mohanlal to show his talents in acting. The film tells the story of love in a classical manner. The film will give new face to Malayalam film industry. The film has another specialty in which the experienced Bollywood actor Anupam kher teams up with Mohanlal. Anupam kher has already acted along with Mohanlal in the movies Indrajalam and Praja but in Pranayam, he has a very good role. Jayaprabha is the actress of the movie. Jayachandran will be the music director of the Pranayam and lyrics is written by O.N.V Kurup. Bheeshmar : Directed by Sibi Malayil, release date : June 2011. King Richard : Directed by Ranjan Pramod, release date : July 2011. Arakkallan Mukkakallan : Directed by Sibi Udayan, release date : July 2011. Jeevitha Sagaram : Directed by Sathyan Anthikkad, release date : August 2011. Casanovva : Directed by Roshan Andrews, release date : August 2011. Swapna Maalika : Directed by K.A.Devarajan, release date : September 2011. Highjack : Directed by Major Ravi, Release date : September 2011.